As a mother to three daughters it is completely inevitable that they are all going to become young women and get their period! I will admit, it is something I used to dread years ago when I would think of how I would talk to them about it and how they would react. To be honest all I could imagine happening was the scene from My Girl when Vada runs, screaming from the bathroom thinking she was dying! Oh the nightmares I have had over the years. I thought I would have had a lot longer to prepare for this moment with my oldest daughter who is 13 than I actually did. You see I was a “late bloomer”, I didn’t develop as fast as other girls and I didn’t get my first period until I was 15 years old. By that age school had pretty much taught me all I needed to know about getting my period and I don’t even think I went to my parents. At the time I was living with my father and step-mother so the conversation, to me, felt more awkward than heading to the store and picking up what I needed. Well the late bloomer gene certainly didn’t pass down to my first born, she recently got her first period and I am happy to say she didn’t run screaming from the bathroom thinking she was dying! If you have a daughter you are going to want to prepare a Mom Survival Kit so you and your daughter can be prepared to survive her first period. Preparing yourself to have the unavoidable conversation with her about her first period, what will happen, how to deal with it and having some tools to explain things, will make it easier on the both of you. There are so many myths out there about periods and you are your daughter’s first point of contact to debunk those myths and make her more comfortable about having her period. Asking her what she has heard about having her period can help you explain truths and reassure her that any myths she has heard are not true. 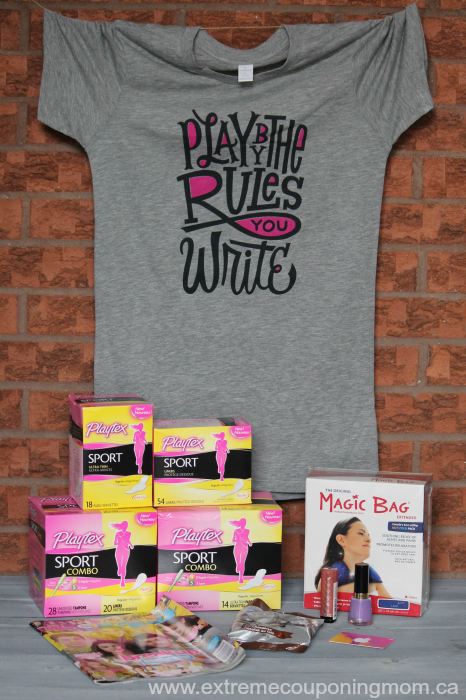 The new Playtex® Sport® Combo pack, which offers Playtex® Sport® Tampons along with the new Playtex® Sport® Pads or Playtex® Sport® Liners is perfect for girls in the process of discovering what products best suit their needs. The Playtex® Sport® Combo pack gives your daughter the protection she needs – and you peace of mind knowing you’ve got her covered! The combo packs are great for allowing your daughter to experiment with different products all in the convenience of one box so she can find what works best for her and what she is most comfortable using. It is perfect for those just getting their periods and for those of us that are looking for a little more variety! Visit the Playtex Play On website to get more tips on how to have “the talk” with your daughter about puberty and menstruation. Stay connected with Playtex on Facebook, Twitter and Instagram! Moms, do you have any tips on how you survived your daughter’s first period? 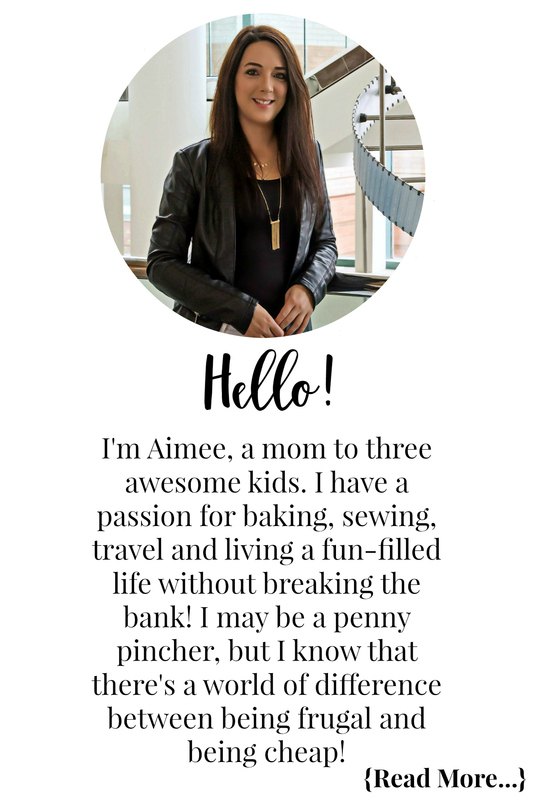 Leave a comment below, maybe you can help another mom out! 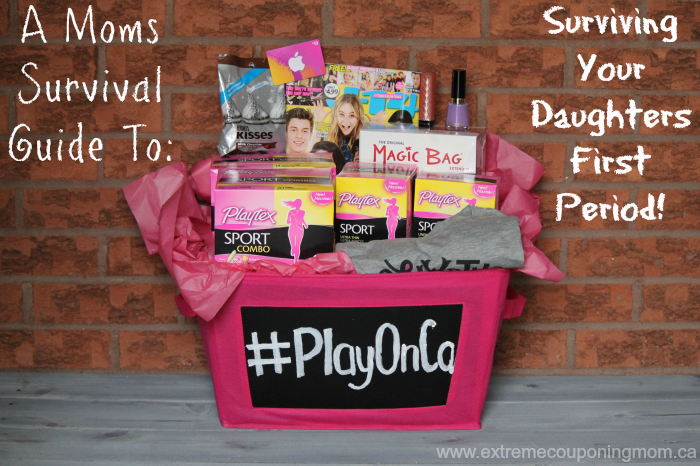 Disclosure: Although this post has been sponsored by Playtex Canada, the opinions and language are all my own, and in no way do they reflect Playtex Canada. Any product claim, statistic, quote or other representation about a product or service should be verified with the manufacturer, company, provider or party in question. « VarageSale Has Officially Launched In New Communities! I sure hope the “mom survival kit” is around when the time comes over here…. Never thought I’d have a girl, been a boys world here for the last 16 yrs….but here she is!